A-HOTEL.com - Luxury and cheap accommodation in Kuskovo, Russia. Prices and hotel, apartment booking in Kuskovo and surrounding. This apartment is located in Moscow, a 10-minute walk from Vykhino Metro Station. Wi-Fi is provided in Sadovoye Koltso Apartments Vykhino. Nice apartment near the metro Vykhino is situated in Moscow, 13 km from Izmaylovsky Kremlin, 14 km from Zaryadye Park, as well as 15 km from Ugresha Monastery. The accommodation is 15 km from the The Kremlin and has free WiFi. Located 13 km from Izmaylovsky Kremlin and 14 km from Zaryadye Park, Economy Brusnika Apartment Vykhino features accommodation set in Moscow. Complimentary WiFi is provided. Apartment on Snayperskaya offers accommodation in Moscow, 14 km from Izmaylovsky Kremlin and 14 km from Zaryadye Park. The property has city views and is 15 km from The Kremlin. Providing free WiFi, Ladomir Perovo is set in Moscow, within 9 km of Izmaylovsky Kremlin. The property is situated 12 km from Zaryadye Park, 13 km from The Kremlin and 14 km from Lenin Mausoleum. Located in Moscow, 10 km from Izmaylovsky Kremlin, Apartment on Svobodnyy prospekt 37/18 offers a living room with a flat-screen TV. With city views, this accommodation features a balcony. Situated in Moscow, Apartament Hanaka Zeleniy 93 provides accommodation with a balcony and free WiFi. The property is 10 km from Izmaylovsky Kremlin. Green Avenue Apartment is a self-catering accommodation located in Moscow, within a 5-minute walk of Novogireyevo Metro Station. Free WiFi access is available. 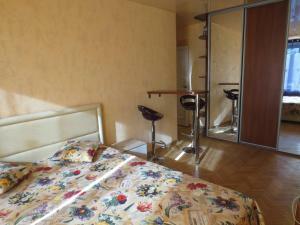 Apartament Hanaka Zeleniy 83/3 is situated in Moscow. Free WiFi is featured. Set within 9 km of Izmaylovsky Kremlin in Moscow, Apartment Hanaka on Bratskaya 23 offers accommodation with free WiFi and flat-screen TV. All units comprise a seating area, a dining area, and a fully equipped kitchen with various cooking facilities, including an oven, a microwave and a fridge. Located in Moscow, Отель лион features free WiFi, 15 km from Ugresha Monastery. Izmaylovsky Kremlin is 17 km from the bed and breakfast, while Losiny Ostrov National Park is 20 km away. Apartament Hanaka Federativniy 46 in Moscow features accommodation with free WiFi, 10 km from Izmaylovsky Kremlin and 14 km from Zaryadye Park. The apartment is 16 km from Lenin Mausoleum. Brusnika Novogireyevo is located in Moscow, 10 km from Izmaylovsky Kremlin and 14 km from Zaryadye Park. The property is situated 16 km from Lenin Mausoleum and 16 km from Tretyakov Gallery. Set in Moscow, Apartment On Novokosinskaya 9 features accommodation with a balcony and free WiFi. The accommodation is 16 km from the Ugresha Monastery. Situated in Moscow, AntHill 2 is 14 km from Ugresha Monastery. 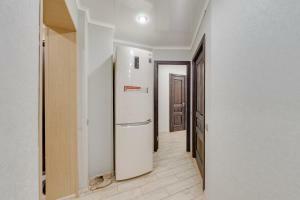 The property is set 16 km from Zaryadye Park, 16 km from The Kremlin and 16 km from Izmaylovsky Kremlin. Located 10 km from Izmaylovsky Kremlin in Moscow, Apartament Hanaka Federativniy 43 offers accommodation with a kitchen. Guests staying at this apartment have access to free WiFi.